Soulful Vocalist Currently Promoting Her 12th Studio Album, “Choreographic"
DOVER, NJ, June 7, 2017 – This June, Casio America, Inc., a leading innovator of electronic musical instruments, is delighted to highlight the vocalist and innovative multi-instrumentalist, Rachael Sage, as part of its Artist Program. Casio’s Artist Program supports aspiring and established musicians alike by providing the best tools and technology available for them to compose, practice and perform with on the road, in the studio, or at home. Sage, a singer, songwriter and producer, began playing the piano at the young age of two and a half, and has evolved into one of the busiest touring artists in independent music. She performs over 100 dates a year either solo or with her band “The Sequins" throughout the US, UK, and Europe, and has shared the stage with various artists including Marc Cohn, Sarah McLachlan, Judy Collins, and most recently, Beth Hart and Howard Jones. She has earned a loyal following for her dynamic piano playing, delicate guitar work, soulful vocals, and improvisational audience interaction. “With all of the traveling that I do, Casio’s Privia PX-560 is perfect since it provides all the different sounds that I need for composing on the road," said Sage. “As a musician, it is so important to always have access to your instrument and it is really amazing what Casio has done to make that possible through this Artist Program and their Privia line of digital pianos." Sage, who grew up playing various Casio keyboards, is currently promoting Choreographic, her 12th studio album, which was released in the fall of 2016. The album was inspired by Sage’s dance background and pays homage to her lifelong relationship with ballet and more recently, lyrical dance. The songs combine orchestral elements with her signature blend of folk, pop and rock. Sage has also just released a new 5-track digital EP, titled The Tide and is in the process of developing her 13th studio album, which is slated for release in 2018. 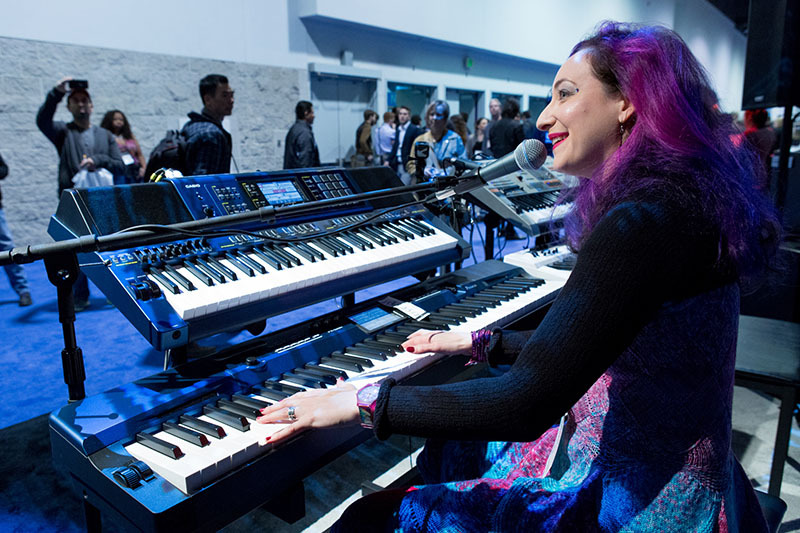 “Being part of a musical career as inspirational and creative as Rachael’s is a true honor for Casio," said Stephen Schmidt, Vice President of Casio’s Electronic Musical Instrument division. “Providing support to the musicians that are a part of our Artist Program in order for them to easily fulfill their love and passion for music is why we created this program. We are so proud that we can provide tools, like the PX-560, to an artist like Rachael, who is constantly traveling, performing and composing on the road."